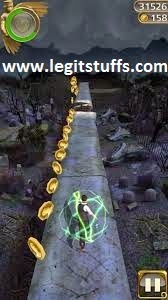 Temple Run OZ mod apk, dark forest mod with unlimited coins and unlimited gems, free android game download. Sometime ago I posted a review on Temple run 2 and also Temple Run 2 apk (get it here the game is still awesome. Today am bringing you the next to the latest version of the Temple Run endless android runner game, not just the apk file but also the mod version with lots of goodies like unlimited coins and unlimited gems to the tune of 933 million plus. The Temple Run OZ apk I'll be sharing comes with mod files and instructions on how to install. pick up keys to unlock music boxes for amazing bonus coins and abilities. These above listed are a little out of the many features of Temple Run OZ I cannot just continue listing them out. 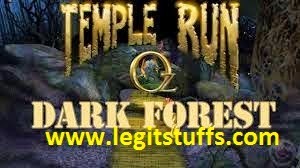 There are two files of which Ill share their both links, one of the files is the Temple Run OZ original apk and the other is the mod file containing Dark forest. In the introduction I didn't talk much about dark forest. Now Dark Forest is more like an in app upgrade of the Temple Run OZ game. What the original apk comes with is whimsie woods while you play the whimsie woods you'll be prompted to upgrade to Dark forest and this leads to Google playstore. But in this one that am sharing you no more need to be prompted neither do you need to upgrade it but it comes with the dark forest files. Now that was just a little introduction on Temple Run Dark forest, back to the instruction. 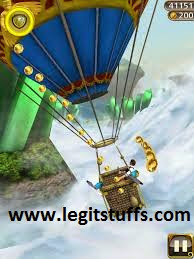 After downloading the Temple Run OZ apk, install it. If you choose, after downloading and installing you can play but you'll be able to play whimsie woods so it's not yet advanced and upgraded even though the graphics, game play is cool. after the unzip process you'll see a folder with the name com.disney.TempleRunOz.goo now copy or preferably cut it and go to your 'sd/android/data/' you'll see a folder with the same name, replace the folder you aw there with the one you copied. or alternatively copy the com.disney.TempleRunOz.goo when your device asks you where to paste the folder you go to ' sd/android/data/' you paste it there it'll ask you whether to replace the former one there you'll have to accept. After doing the above, Now go and launch your Temple Run OZ android game it'll tale some seconds to load, if your android phone or tablet is slow it'll take a little longer but not more than a minute. When it's done loading check your coins and gems, all you'll see is in 933 million plus!. the data file contains the mod file and Dark Forest so you no more need to upgrade through play store. In the game go to OZ world and you'll see Dark forest active! Play in this place where everything is dark with great graphics. Don't forget to share this with your friends using the share buttons and also share your comment using the comment option below.